Welcome behind the scenes of Spotify Stockholm. Mormons from all over the world flock to Sweden for party. They are all 18 to 30 years of age. And unmarried. In the hometown of Jasmina Karjalainen, Kajaani, the only other Mormon of the same age is her own sister. 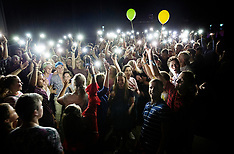 This summer, the Festinord camp, also known as "Party in The North", gathers around 750 young people, from 31 countries. Many people attend the festival because it is fun to meet friends from the same community. At the same time, the camp has, in many young people's minds, another, more informal purpose: to find true love. Rinkeby! The suburb in the northwestern part of Stockholm has it’s headlines. And not only in Sweden, but around the world. United States, Germany and Russia. 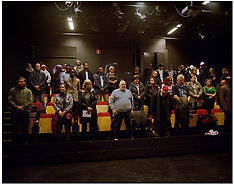 Rinkeby has been reported to be a ''no-go zone'', where even the police do not dare to go. ''Some people think that if they get to Rinkeby, they don’t get out alive''. When the suburb is given attention, it is generally for the reasons of violence. It is facts that the suburban suffers from criminal gangs and violence but residents believe that even ordinary people are labeled as criminals. The reporter Sami Sillanpää and photographer Magnus Laupa went to Rinkeby to meet people in their daily lifes behind the alarming headlines. 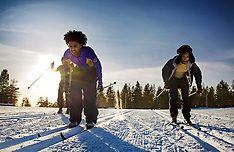 ”Skidhjälpen”, ski training where new coming refugees learn the art of cross-country skiing.